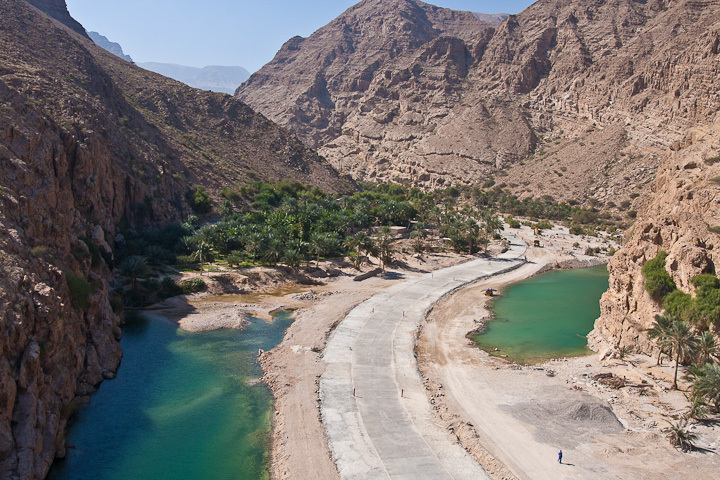 Guest will pick-up from the hotel and drive to Wadi Bani Khalid. The wadi has clear deep blue waters, where the shade of the palm trees is inviting for a relaxing siesta! 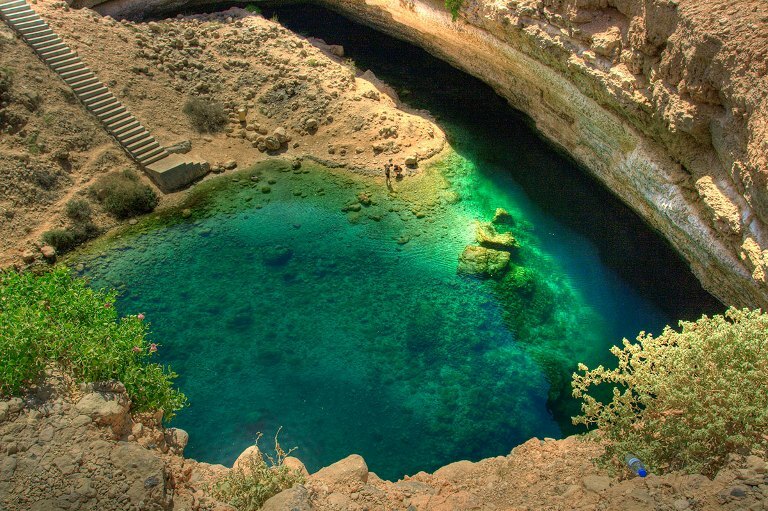 Catch a glimpse of the pretty villages scattered all over Wadi Bani Khalid as they cling precariously to the slopes of the rugged mountain-side (Please bring along your swimwear, the clear waters of the Wadi are very inviting! Also please note that light clothing and walking shoes may be more suitable on this trip). Lunch in local restaurant. After lunch, drive to Wahiba Sands. 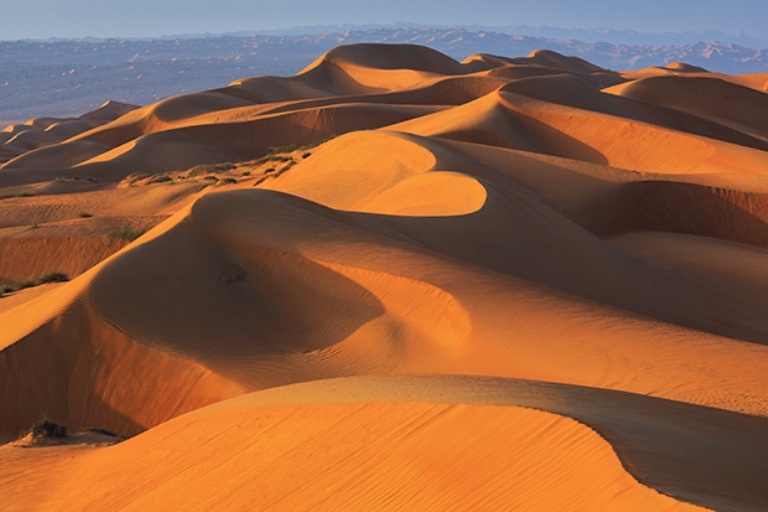 Wahiba Sands is a vast mass of undulating red and white sand dunes rising up to 200 meters and stretching as far as the eye can see. It is also a host to a large variety of flora and fauna and ever-changing patterns of dunes which are a photographer’s delight! Enjoy an exhilarating round of “dune bashing” in 4 WDS. The sands are the traditional homes of the nomads and the Bedouins, so it is common to see them moving through the desert with their camels. In the middle of the desert, stop to visit a Bedouin home. Drive and check in to the camp. Choose a camp to spend the night in the desert, a remarkable experience that starts with a golden sunset, continues with a densely-starred sky and concludes with the soft light of a desert dawn. 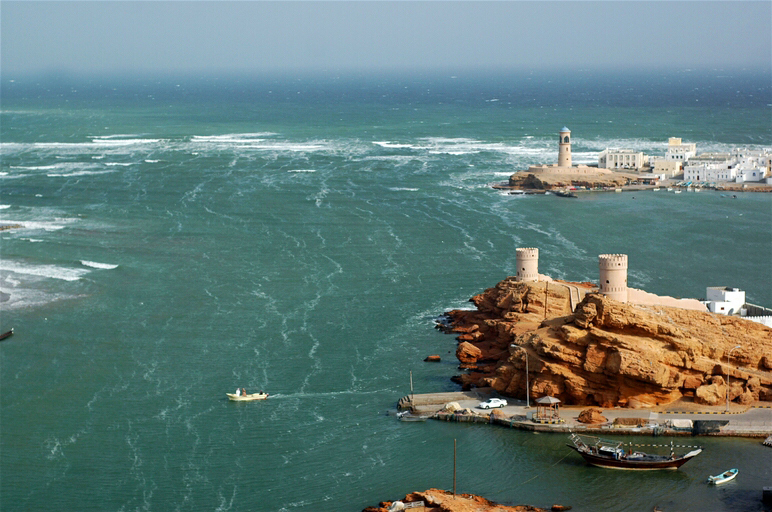 Start your journey back to Muscat passing Sur and visit the fishermen’s harbor where you can witness the fishermen in action. Proceed on to the Dhow building yard. Dhows are traditional Omani wooden fisher boats that are even today, built by hand. Continue via Qalhat where Bibi Miriam’s tomb (photo stop from the main highway) is located. Proceed to Wadi Tiwi - another spectacularly deep and narrow gorge carved out of the mountains, running between towering cliffs right down to the sea. 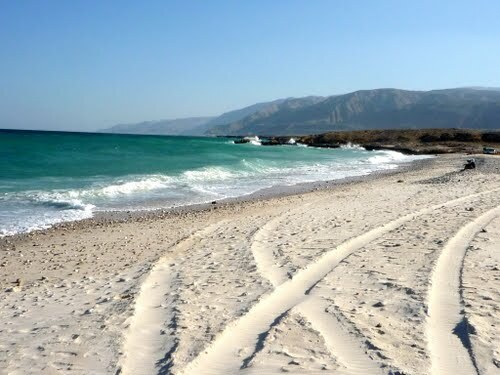 After visiting the Wadi – proceed to the white beaches of Finns where picnic lunch will be served. Also see the Bimah Sinkhole, a natural hole in the round created by a collapsing mountain. The hole is filled with blue-green sea water. Finally we pass through the village of Quriyat & return to Muscat.